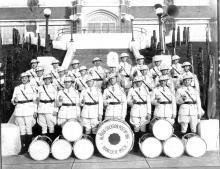 The Hancock Drum & Bugle Corps, sponsored by the Alfred Erickson Post 186 American Legion of Hancock, as it looked in the mid 1920's. 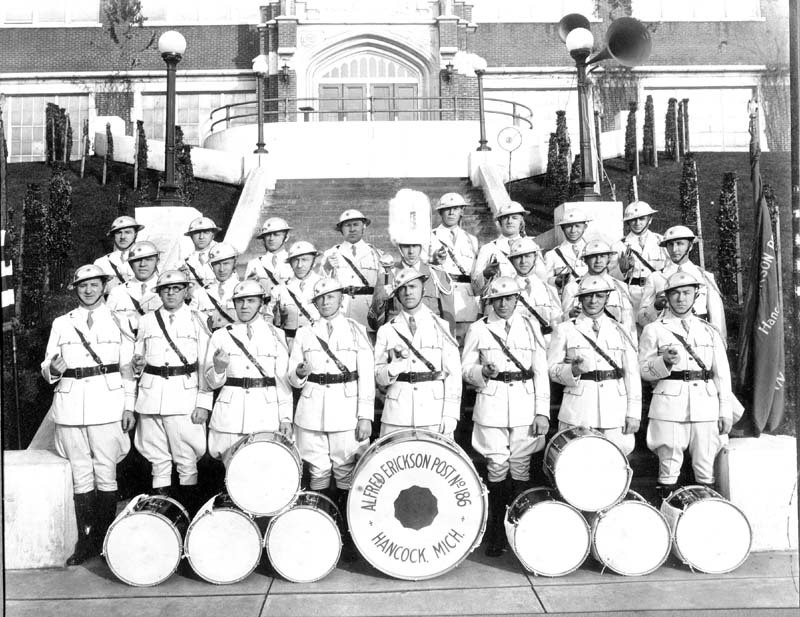 The picture was taken in front of the recently built (1923) High School on Quincy Street. Not all Corps members belonged to the Legion.